Bendigo is literally a city built on gold. When Europeans first settled the area, they had no idea that their fledgling sheep farms sat above large gold deposits until they found their rivers were sparkling with the stuff. 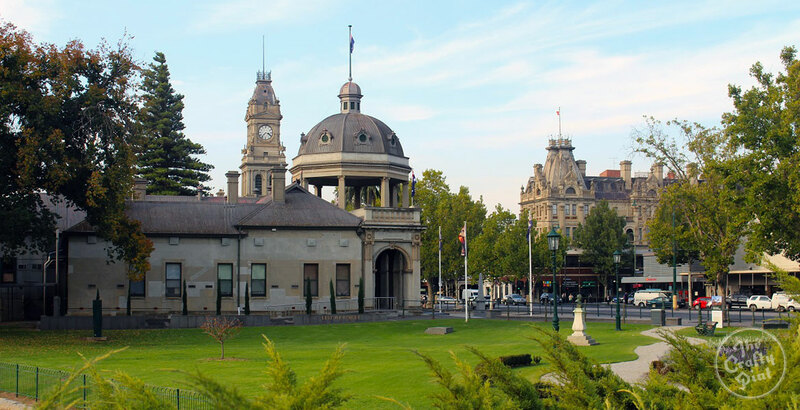 From the 1850s onwards, word spread across the world that there were fortunes to be made in Bendigo and the gold rush brought with it swathes of people and money. Many of those iconic Victorian-era buildings that last to this day are a direct result of the wealth generated during the period. One particular hangover from that era is that Bendigo has never had any shortage of pubs and many of those built during the gold rush are still standing to this day. Yet, until recently, most poured little other than Lion or CUB lagers, which just goes to show that a legion of liquor licences doesn’t automatically mean choice. Thankfully, over the past few years, there’s been something of a craft beer rush into Bendigo and one person who’s been there throughout that change is Trev Birks. Trev is one of the of the co-founders of Bendigo Beer, a group to which beer geeks in any regional city would do well to pay attention. What started off as two mates trying to convince local publicans to rethink what beer they had on tap is now an incorporated not-for-profit that organises masterclasses and educational workshops for bar owners and their staff, while also running the popular Bendigo on the Hop festival. Trev says back when Bendigo Beer first started in 2011 the number of venues in Bendigo where you could get a craft beer was nothing like it is today. Now, in no small part thanks to Trev and the rest of the Bendigo Beer crew, Bendigo has established itself as a regional leader when it comes to serving good beer. “A lot more of the pubs in Bendigo, if they are contracted, they are finding spare tap space to accommodate what we do because they are seeing the benefits of having that choice there,” says Trev. 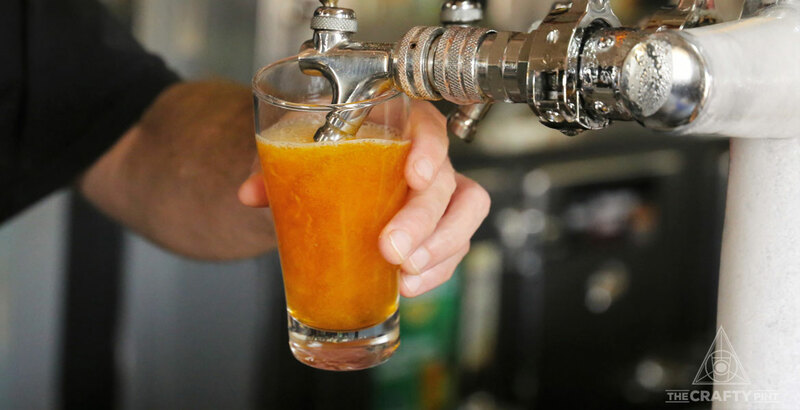 If the streets of Bendigo are now truly are awash with craft beer, aided in no small part by local brewery Brookes Beer, then that calls for a crafty guide to the best places to find it. While a Crafty Crawl of Bendigo could begin at any location, since The Dispensary Bar & Diner was the first craft beer venue in the city, it seems right to start there. Originally run by Tim Baxter, the Dispensary has been Bendigo’s home of craft beer, fine wines and excellent food since 2009. Despite the Dispensary having no taps, with close to 100 bottles and cans of beer filling their fridges at any given time, there’s no shortage of choice for even more experienced craft drinkers. Although Tim left in 2016, the group of locals who took it over retained much of what gave The Dispensary its charm while adding their own. Beer lovers heading to the city should be thankful as, prior to the new owners stepping in, one of their primary concerns was that, if they didn’t buy it, someone else could turn it into a café and a piece of the city's contemporary beer culture would be lost. Find it down the alleyway at 9 Chancery Lane. Flight Bar & Bottleshop sits inside Centreway Arcade just off Hargreaves Mall in the heart of the city’s business district. It's an unlikely location, next to an InterSport in a dead end corner, but has brought new life – and frequently large crowds – to the old mall, particularly at lunch and dinner time when it's not uncommon to find the area packed with people awaiting their serve of hot hot food. Flight Bar is the latest move by Bendigo’s Beer’s other founder, Justin McPhail, to bring better beer to the people of his city. Since opening late in 2016, Justin and fellow beer geek Nick Horgan have been pushing beer out of space not much larger than some bars’ coolrooms. 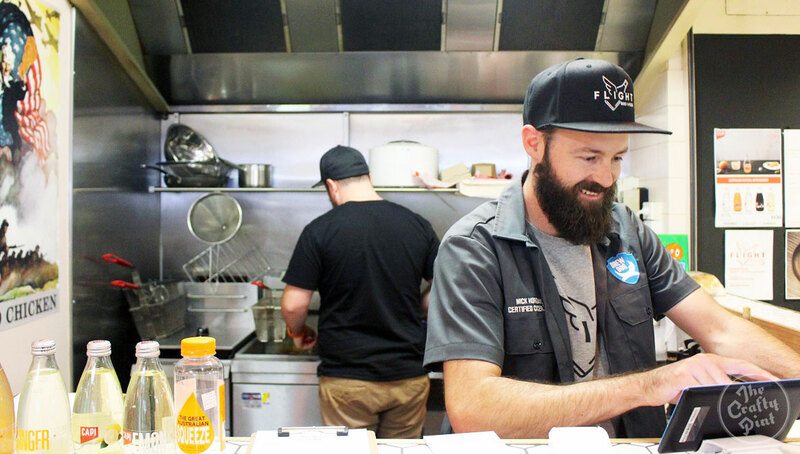 Flight Bar’s focus is squarely directed at two of Justin and Nick’s biggest loves: craft beer and fried chicken* (with spiced up mushrooms there for the vegos). Their range of craft beer features scores of bottles and cans, many of which are from breweries whose beers don’t often make it to Bendigo, while there's a sweet selection of craft spirits too. As for the fried chicken, it's made to order after being coated in house made rubs then served with hot sauces of the duo's own making. * It's worth noting here that, in 2018, they combined these two loves even further in creating the Twist chicken salt gose with local brewery Cornella Real. Owned by a rather large local collective of beer lovers, Handle Bar poured its first beer in 2015. By virtue of being tucked behind Get Naked Espresso Bar at 73 Mitchell Street, Handle Bar is something of a secret haunt for those that like good beer (although less and less secret over time as word of its charms spread). 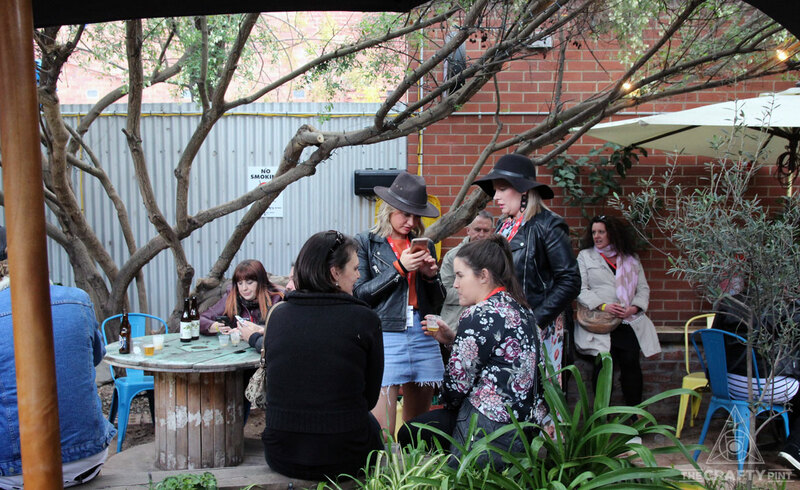 The unique open air venue has four rotating taps and the location means drinkers can find a spot to perch underneath trees or on upcycled furniture. Since opening, Handle Bar has also welcomed live acts to grace its small stage, ranging from local acoustic artists to touring bands and visiting DJs. 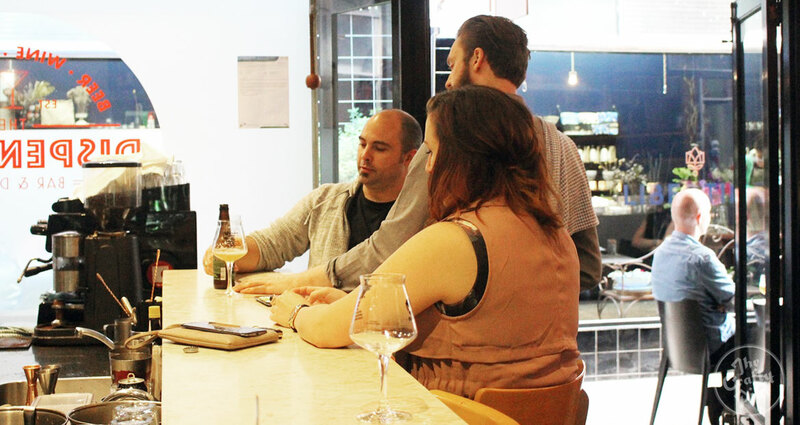 When it opened midway through 2017, The Hop Supply Co brought a broader range of takeaway beers, spirits and wines to Bendigo then had been seen before in the city. Run by Scott and Kylee Toll, the couple were led down the path of good beer by the folks at the Cambrian and quickly grew tired of having to drive to Melbourne to pick up the diversity of beers they wanted to drink at home. 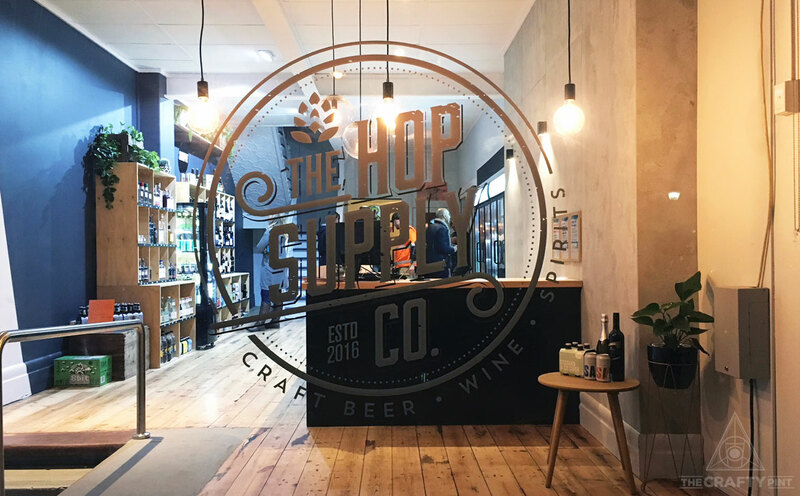 Their solution was to open their own bottleshop, one that stocks more than 200 different beers, all of which are kept cold in the fridges that line Hop Supply’s walls at 137 McCrae Street. For Scott and Kylee, their focus is on Australian made and it’s an ethos that extends beyond the beers and towards the spirit and local wine selection too. While the Cambrian may be a bit of a walk from the centre of town, no craft beer tour of Bendigo would be complete without calling in. Since taking over the North Bendigo pub in 2013, brothers Andrew and Adam Carswell have turned the place into one of regional Victoria’s leading beer destination, winning recognition in beer and tourism circles for their efforts. Eight taps pour nothing but craft beer with a strong focus on Victorian owned and particular emphasis given to the likes of Brookes and Holgate, both of which brew in the region. 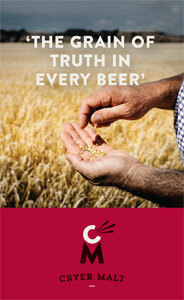 Like its beer, the Cambrian’s kitchen is focused on the local, with hearty pub fair that’s freshly prepared by Andrew. Whether it’s beer, food or the atmosphere, the ethos behind the Cambrian makes it easy to spend hours at the bar, chatting to staff and locals, while working through their range of beer. As such, it's a wise place to finish this crawl. The Rifle Brigade Hotel – The home of Bendigo’s last working brewpub, the old watering hole has gone through many incarnations since opening in 1887. Most recently, the Gun Club, as it’s affectionately known, has been focusing its taps mores towards local and craft beer than ever before. 137 View Street. Harpoon Social Club – A ramen restaurant that opened midway through 2018, Harpoon Social Club also stocks an impressive range of local beer alongside Japanese offerings. 36 High Street. Rocks on Rosalind – Located in a former bank, Rocks has an impressively-considered beer list that would put most capital city restaurants to shame. 10/12 View Street. The Gallery Café – With several world class exhibitions throughout the year, Bendigo’s Art Gallery is always worth a visit. Once you’ve perused the art, why not drop into The Gallery Café, a longstanding supporter of local beer. 42 View Street. Brookes Beer - While Brookes doesn’t currently have its own bar, beer lovers heading to Bendigo can keep an eye out for Brookes beers, no matter what local pub, bar, or lawn bowls club they find themselves in. 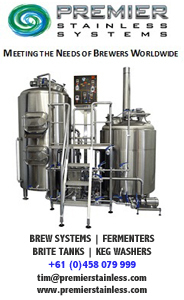 True Brew – If you'd like to get your hands dirty and brew some beer of your own, True Brew has hundreds of recipes to choose from. You can check out our other Crafty Crawls from across Australia here or create your own tours in the company of the free Crafty Pint app, home to hundreds of breweries, venues and bottleshops across Australia, plus events, special offers, articles and more.